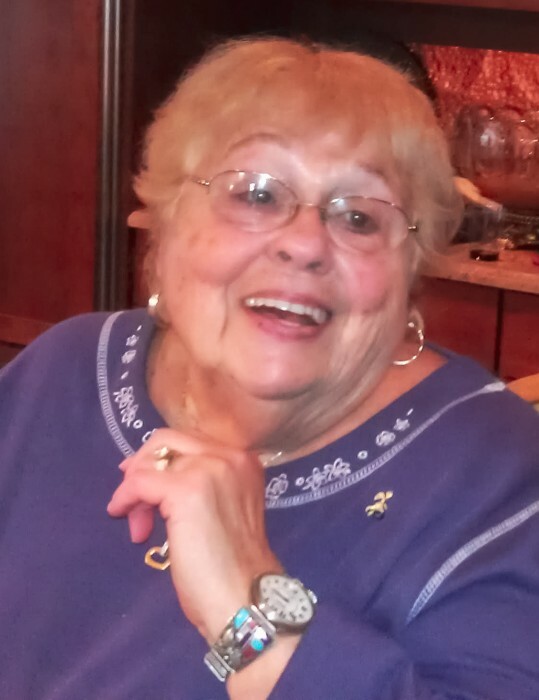 Mrs. Agnes Rose Cusumano Imbriaco, 91, passed away peacefully after a brief illness on Tuesday, May 15, 2018 in the Robert Wood Johnson University Hospital at Rahway, New Jersey. Visitation will take place in the Kowalski Funeral Home, 515 Roselle St., Linden, on Sunday, May 20th. from 2:00 – 6:00PM. Guests will have the opportunity to share their memories of Mrs. Imbriaco immediately after a brief offering of prayers on Sunday. On Monday, May 21st, at 8:15AM, family and friends are asked to gather in the funeral home where a prayer service will be held at 8:45AM, followed by the funeral mass to be offered in St. John the Apostle R.C. Church, Linden at 10:00AM. Mrs. Imbriaco will be entombed alongside her late husband in the family crypt in Rosedale Cemetery in Linden. Mrs. Imbriaco, the daughter of the late Mary Federico Cusumano and the late James Cusumano, was born in Elizabeth, New Jersey, where she lived until moving to Linden sixty-four years ago. Mrs. Imbriaco played the saxophone when she was a member of the school band of Battin High School in Elizabeth and she continued honing her talent playing in the various jazz and dance bands during World War II. Mrs. Imbriaco was a founding member and the sole survivor of the Sevenettes Club, a social group that started among her high school friends and later included members of her family. Mrs. Imbriaco is also the sole survivor of her late siblings Charles Cusumano, Jenny Balcunas, Lily Cooper and Mary Nufrio. A member of the National AARP, Mrs. Imbriaco was involved locally with the City of Linden Democratic Club, the Linden Senior Citizens Club and the AARP Linden Chapter #1894. Most summers were spent at the Jersey shore taking day trips with her sons in their youth and later at her favorite swimming pool in Clark with her late husband and many friends. A dedicated and supportive wife, mother, grandmother and great-grandmother, Mrs. Imbriaco took great pride in her late husband’s dedication to public service in Linden and in the accomplishments of her three sons. She was famous for her special eggplant parmesan sandwiches and her sausage stuffing which the entire family looked forward to every Thanksgiving. Predeceased by the love of her life, her husband, Valentino “Val” D. Imbriaco on October 28, 2016, Mrs. Imbriaco is survived by her sons, Val Anthony Imbriaco and his wife, Mary Ann, James Imbriaco and his wife, Arleen and Gregory J. Imbriaco and his wife, Geraldine; her five grandchildren Matthew Imbriaco, Adrienne Imbriaco and her husband, Michael Yerdon, Andrea Imbriaco, David Imbriaco and Julia Imbriaco; her great granddaughter, Marlowe Valentina Yerdon; her two step-granddaughters Christine Parrillo and Denise D’Urso; her nine step-great grandchildren and her many caring nieces and nephews.